The study presents the share of agriculture in the structure of agribusiness and presents the forms of support it uses. It was found that agribusiness is characterized by dynamic changes. Against the background of the national economy, its share in labour resources, fixed assets, investment outlays and output and its gross added value is decreasing. 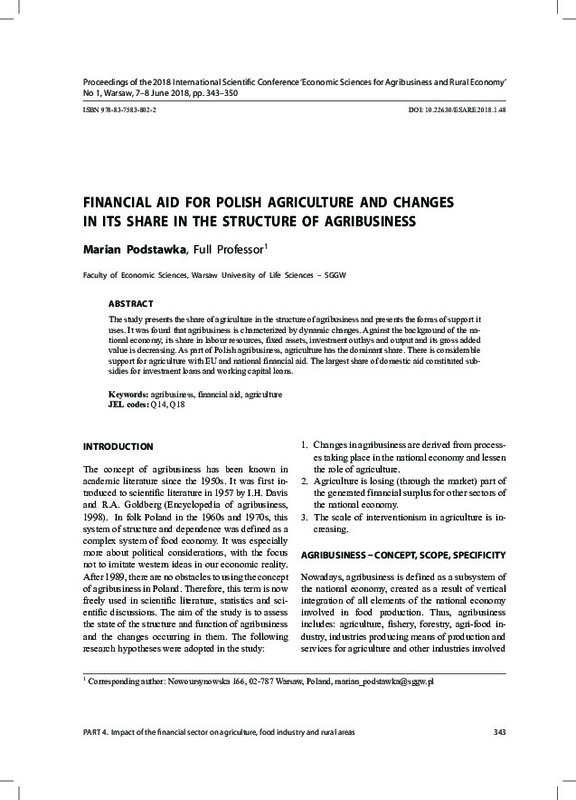 As part of Polish agribusiness, agriculture has the dominant share. There is considerable support for agriculture with EU and national financial aid. The largest share of domestic aid constituted subsidies for investment loans and working capital loans.